The project consisted of two parts: (1) A brief presentation describing what it is to be an Architect, and (2) An interactive discussion between Architects/Intern Architects and students where the students transform their assigned concept into three-dimensional representations of their respective concepts. 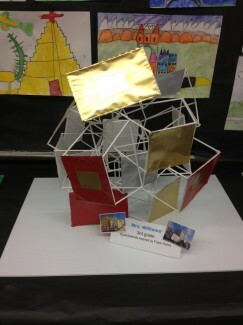 The presentation portion of the project focused on who we are, what we do, and how we do it. We discussed the importance of communication between the various parties involved (users, clients, design consultants, contractors, etc.). We described the tools by which we communicate these ideas to our clients in the form of sketches, drawings, 3D modeling, renderings, etc. Also discussed was the coordination that we do between the various parties during construction. 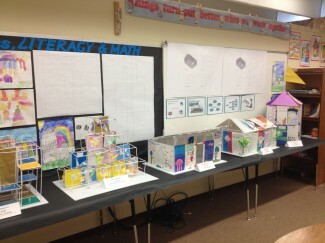 We reviewed the skills and values necessary to become an Architect (problem solving, organization, composition, ability to visualize three-dimensionally, math and physics, etc. ), including having respect for the environment in which we live, work and play. We also reviewed the process of becoming an Architect, from describing the education required, followed by the internship to passing the “ARE”. We discussed the types of people that we have to collaborate with in order to make a successful project. 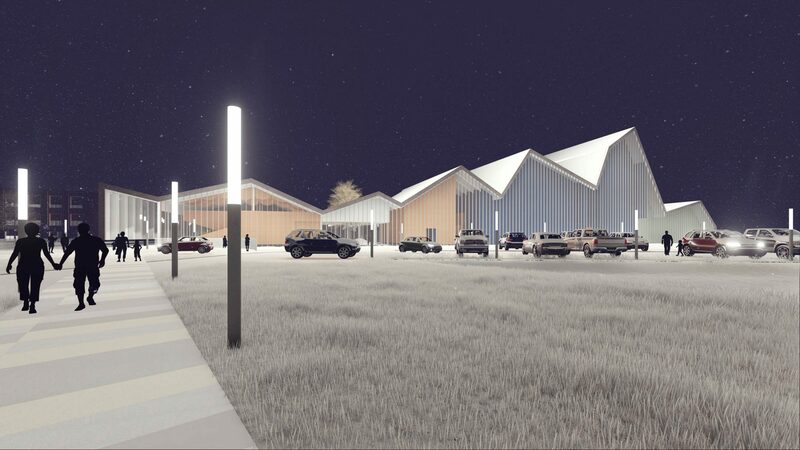 The presentation concluded with a virtual 3D video depicting what a particular building was going to look like when completed. One thing that those of us who participated noticed throughout the project was that following each presentation, the students were very engaged and (for the most part) asked a lot of very thoughtful questions. The degree to which this occurred changed, of course, as the students we worked with got progressively younger. 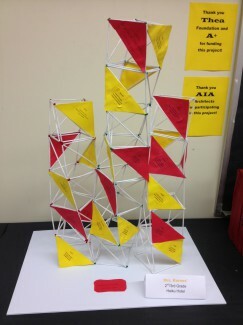 The interactive portion of the project took approximately seven weeks and consisted of one or two Architects/Intern Architects sitting down with small groups of students within each grade level, several times over the course of their assigned week. 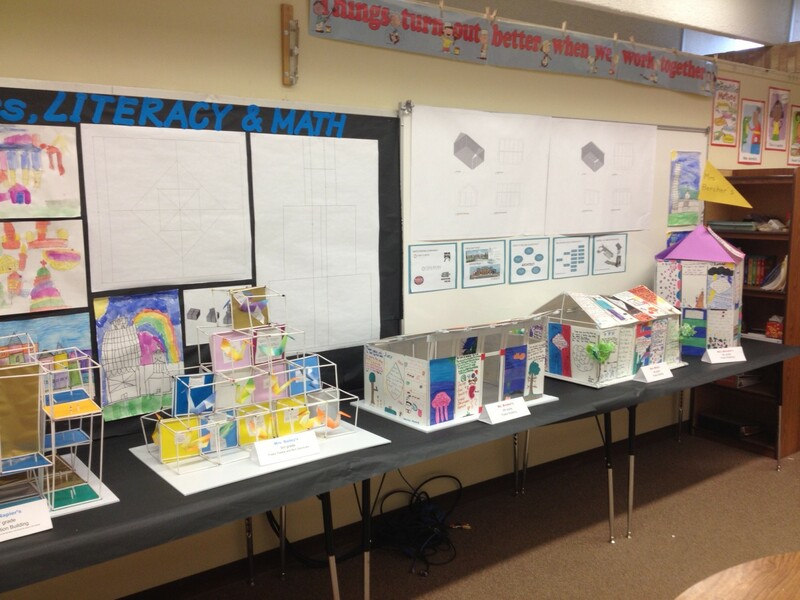 Each grade was assigned a specific week to start their project, starting with 6th grade and ending with Kindergarten. The students would do a majority of their work outside of these sessions, but the Architects would begin each session by meeting with the students and instructing the students on how to assemble the various components of their respective projects. We provided guidance as well as drawings/sketches as needed to help communicate those ideas to the students and teachers. 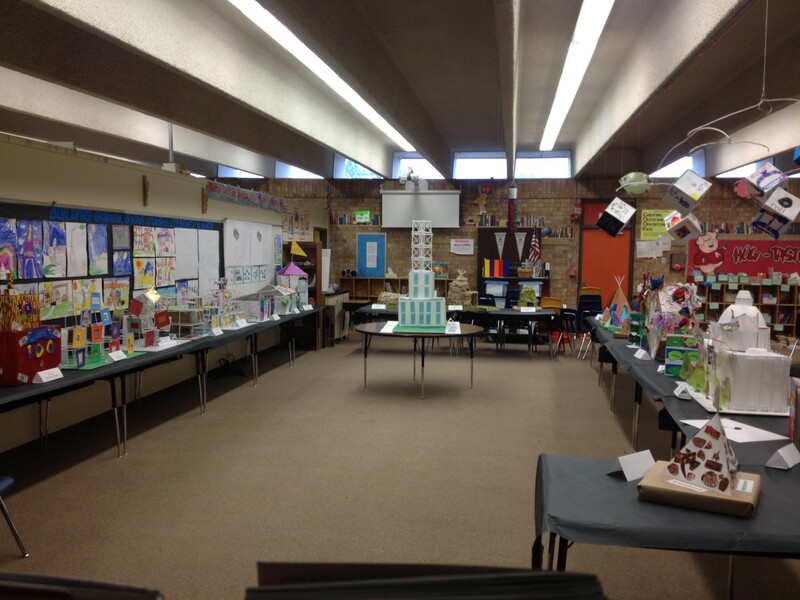 At the end of the semester, each of the projects were put on public display in the school’s library, showcasing all of the hard work that the students and teachers had done to make this project a reality. Also on display were some of the supplemental drawings that the students had done over the course of the semester. 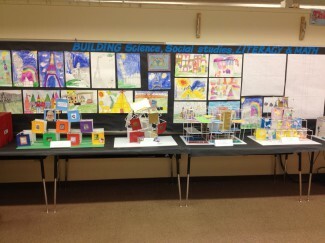 Cook Elementary invited all of the Architects that participated in the project to attend their open house exhibition. 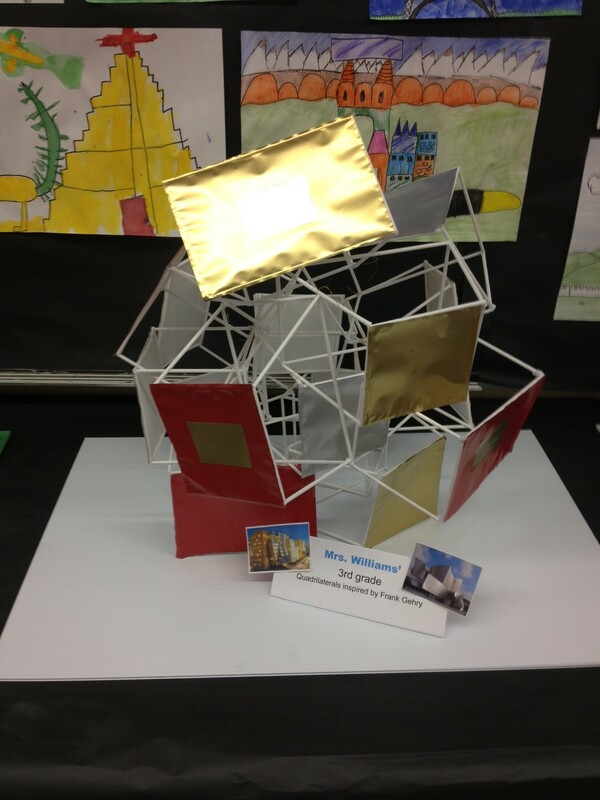 I have included several photographs of the exhibition showing the various constructs.